Alas! Long term relationships and the pressure to get engaged in the near future. 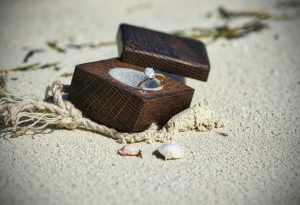 Be it because you want to get engaged or you are feeling the need to comply with the norms, or those around you are convincing you that is indeed the next step. I am sure some of you can relate to this feeling, especially those of you who have been with your significant other for what feels like forever without thebig ‘E” word coming up. If it hasn’t already happened, after a while it’s common to push the notion of ever getting engaged to the back of your mind even if you secretly desire it. You continue with your relationship enjoying it for what it is as being in loving relationship is blissful enough. This is where the element of surprise is great, when you are least expecting to get engaged and it happens. I guess the level of euphoria is heightened because it is so out of the blue and you are in shock from it actually happening! Combined with the overwhelming feeling of joy and happiness of becoming engaged and you are on cloud nine! This couple were attending a family wedding in Santorini but little did the bride to be know that she would be celebrating her own happiness and adorning a new piece of bling by the end of the holiday. Such an exciting time and memory to relive! To tell the story, I only thought it was right to invite the lovely Amie to share this special moment in her own words. Our love story started as a young teenage friendship that blossomed into an eight year long adventure. Some call us high school sweethearts, but in reality we were just two close friends that grew fonder of one another during the last 4 months of twelfth grade. Rewind to last June, no longer teenagers and finishing up our Greece trip, my fiancé proposed to me at a look out spot between an island chapel church and the Vravrona mountains. There is no graceful way to say this… but I bawled like a baby. Maybe it was the element of surprise that caught me off guard (or the bottle of rosé in my stomach from lunch), needless to say, I was overjoyed with emotions. Once I was able to catch my breath, the photographer in me clicked in and I knew I wanted to capture this moment forever. So what was the first thing I did once we got engaged. A mini engagement photo shoot equipped with a tripod, clicker and an incredible backdrop. And I am so glad I did because now we have these wonderful pictures to remember the most perfect ending to an already amazing vacation. As for the wedding? We’re simply enjoying our time as an happily engaged couple. Thanks to Amie for sharing her true love and engagement story to her fiancé Ryan. What a stunning location to get engaged and holiday to remember, congrats to you both again and I look forward to see how your wedding plans come along! Have you got a real engagement story to share? Contact us for a chance to be featured. Need some help planning then check out our wedding timeline to guide you through. Alternatively get in touch for a free consultation and see how we can turn your dream wedding into a reality. You can see some of our real weddings here.